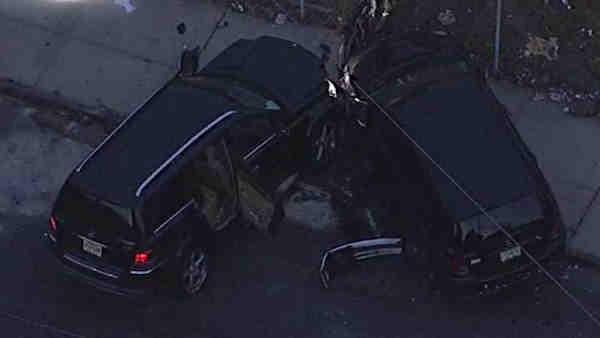 NEWARK, New Jersey (WABC) -- A person was found shot in the leg in a car crash in Newark. The victim was discovered when two cars collided at South Orange Avenue and South 10th Street just after 4:30 a.m. Tuesday. The victim was taken to University Hospital in Newark.